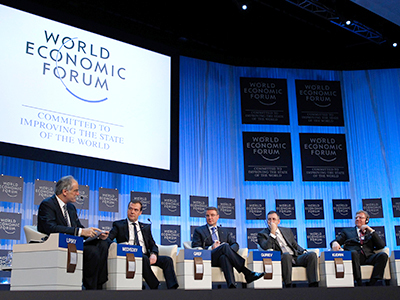 Attendees of the plenary session on Russia’s development at the WEF in Davos think good governance should become Russia’s top priority for further progressive development. ­The Global Agenda Council, consisting of Russian high-ranking officials, businessmen and international experts, presented today at the World Economic Forum a set of scenarios for Russia’s development. Three scenarios were based on energy sector review, institutional reforms and social cohesion respectively and all three predict a rather gloomy future for Russia. But each of it can come true if the Russian government sits idle, said Herman Gref, president of Sberbank and former economic development minister, speaking at the panel. Prime Minister Dmitry Medvedev, to the contrary, believes pessimism is for the good. “And it’s good, that the scenarios are pessimistic. Because optimistic ones can get the government carried away,” he said. 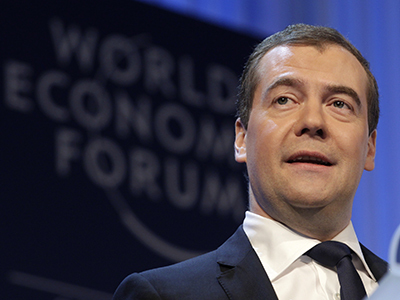 “We’ve seen even worse scenarios on the eve of the 2008 economic crisis,” Medvedev reminded. But all the problems voiced in attempts to predict what the future holds for Russia are not what the country should actually focus on, the audience present at the panel thought. They were asked to vote for an answer to question “What should become government’s top priority in coming years” and the majority, 77.9 per cent, went with ‘good governance’. “I was certain the majority would vote for this very option, because it represents the vision of Russia in the world,” Medvedev commented on the outcome of the vote. Russia traditionally receives massive waves of criticism towards its policies and governing style. But its economy is something that concerns no less. “We are often being asked what we will do without loads of petro-dollars? Will the Russian economy collapse, causing the collapse of the country as a whole? No, it won’t collapse,” Dmitry Medvedev said. “Most of the growth in recent years was ensured not so much by oil and gas revenues, but rather by increased production of consumer goods and services. In future our policy should lead to significant increase of exports of food and intellectual services,” he said. Speaking at the forum, Dmitry Medvedev also shared his vision of Russia's priorities in the G20, of which the country assumed the rotating presidency last year. The effectiveness of the body grows with time, despite skepticism towards the organization when it was shaping up amid the raging economic crisis in 2008. 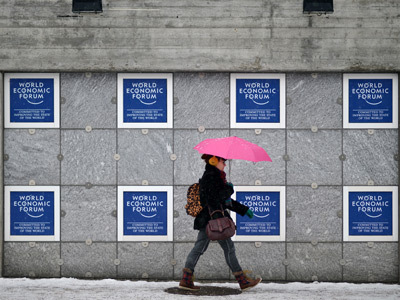 The World Economic Forum is an independent international organization committed to improving the state of the world by engaging business, political, academic and other leaders of society to shape global, regional and industry agendas. The forum was established in Geneva in 1971.